Defending Iditarod Trail Sled Dog Race champion Dallas Seavey (number 16) waves to the crowd as he begins the ceremonial start of the 1,000-mile race in Anchorage, Alaska, Saturday, March 5, 2016. (by Steve Quinn, Reuters) Juneau, Alaska — Three-time Iditarod sled-dog racing champion Dallas Seavey became the first to reach the halfway point of the near 1,000-mile race on Wednesday. Seavey, winner in three of the last four years and looking for his third successive title, pulled in as the leader into the old mining town of Cripple, considered by race organizers to be the official midway checkpoint. Noah Burmeister, racing for the first time since 2008, has been challenging perennial favorites and trailed Dallas Seavey by 20 miles heading into Cripple. Former champions Robert Sorlie, John Baker, Lance Mackey and Jeff King were among six others trailing Seavey. The race commemorates a 1925 rescue mission that carried diphtheria serum by sled-dog relay to the coastal community of Nome, which is also Burmeister’s hometown. 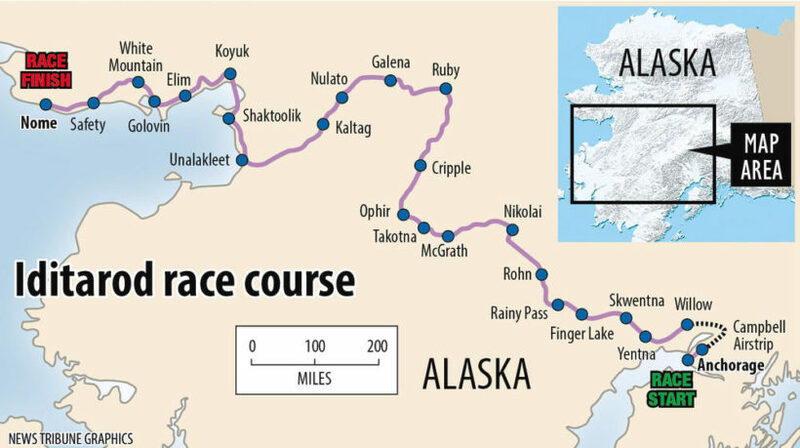 Some 85 mushers and their dogs set off on Sunday from the town of Willow, about a 90-mile drive from Anchorage, on a journey northwest across the Alaskan tundra that the fastest team will likely complete in under 10 days. Only four have withdrawn from the race. While most of competitors are from Alaska, this year’s race drew entrants from as far away as Norway, Sweden and the United Kingdom. This year’s winner will receive $70,000 and a new truck, while other top finishers will take home cash prizes from a race purse that exceeds $725,000. Many mushers including the leaders have not completed a mandatory 24-hour rest coming into Cripple, so the leaderboard will be in flux until all contenders have completed this stop, plus two other mandatory rests that cannot be combined. Even if Seavey does not record his third successive victory, he will still pocket $3,000 worth of gold nuggets for being the first to arrive in Cripple. 1. What is significant about Dallas Seavey’s possible win of the 2016 Iditarod sled-dog race? 2. What does the Iditarod commemorate? 3. a) How many mushers are competing? b) What is the length of the race? c) Approximately how long does the race take to complete? d) What are the starting and ending points for the race? 4. Where are the mushers from? 5. What does the winner receive? 6. 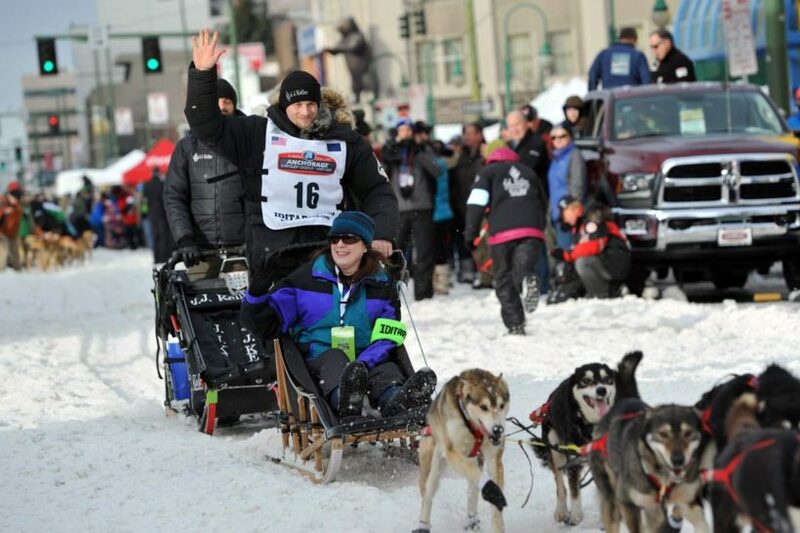 What is significant about musher Noah Pereira? The Iditarod Trail Sled Dog Race is an annual long-distance sled dog race run in early March from Anchorage to Nome, Alaska. 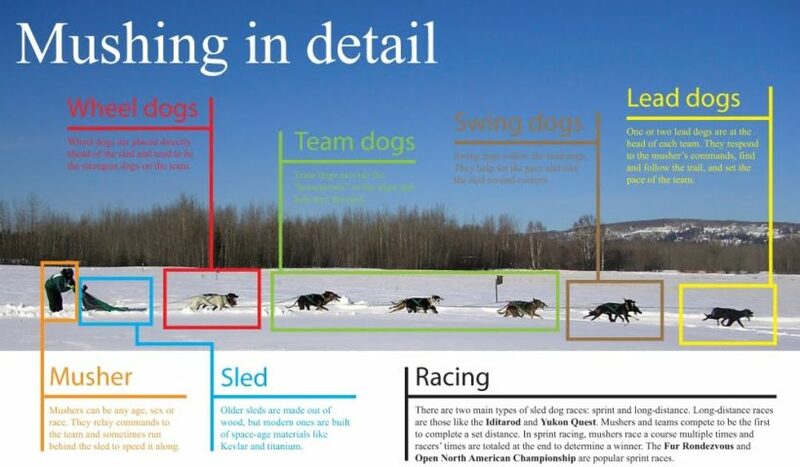 Mushers and a team of 16 dogs, of which at least 6 must be on the towline at the finish line, cover the distance in 9-15 days or more. The Iditarod began in 1973 as an event to test the best sled dog mushers and teams but evolved into today’s highly competitive race. The current fastest winning time record was set in 2011 by John Baker with a time of 8 days, 19 hours, 46 minutes, and 39 seconds. Teams frequently race through blizzards causing whiteout conditions, sub-zero temperatures and gale-force winds which can cause the wind chill to reach −100 °F (−73 °C). A ceremonial start occurs in the city of Anchorage and is followed by the official restart in Willow, a city in the south central region of the state. The restart was originally in Wasilla, but because of too little snow, the restart was permanently moved to Willow in 2008. The trail runs from Willow up the Rainy Pass of the Alaska Range into the sparsely populated interior, and then along the shore of the Bering Sea, finally reaching Nome in western Alaska. The trail is through a harsh landscape of tundra and spruce forests, over hills and mountain passes, and across rivers. While the start in Anchorage is in the middle of a large urban center, most of the route passes through widely separated towns and villages, and small Athabaskan and Inupiat settlements. 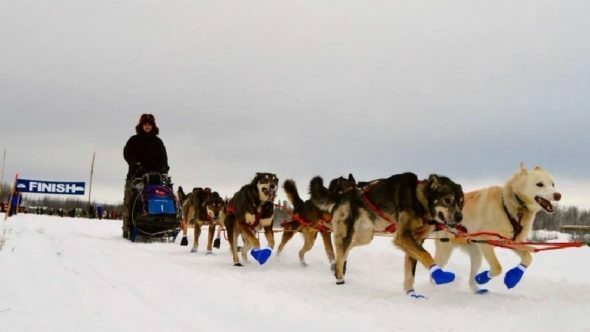 The Iditarod is regarded as a symbolic link to the early history of the state and is connected to many traditions commemorating the legacy of dog mushing. 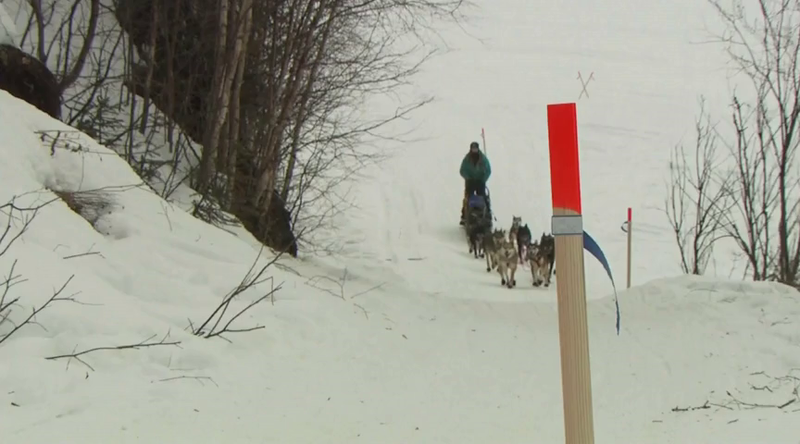 Nearly 90 people are about to set out on The Last Great Race in Alaska, and this year one teen from Brockport, NY is the youngest of all, hoping to win the 2016 Iditarod. Noah Pereira, 19, of NY, won the junior version back in 2013 and now is competing in his first Iditarod. He is the youngest musher in 2016 Iditarod. “He’ll only be a rookie once so I just hope he soaks in the whole experience,” said Betsy Pereira, Noah’s mom. 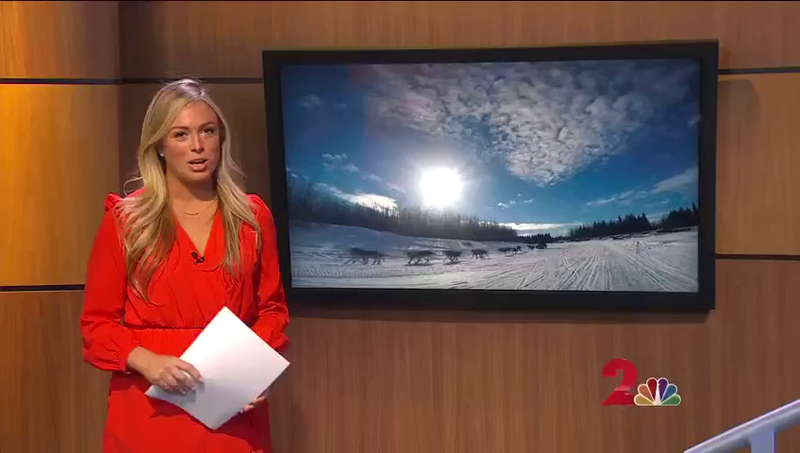 She’s in Anchorage to watch Noah start the race. Betsy said his interest in The Last Great Race came from a report he did in the fifth grade. Three years later, he went to the race as a volunteer. In 2013, he competed and became the first non-Alaskan to win the Jr. Iditarod. “Never thought I’d see the day, but it’s amazing!” said Jim Derleth, Noah’s grandfather. “He’s the first rookie to start off, so his bib number is 21.” Derleth will be tracking Noah here at home along the way and jotting it down in a book he’s making about his experience. You can track Noah’s progress as well by clicking here. Visit the Iditarod Trail website at: iditarod.com.